At UK Visas we have a dedicated team of advisors who guide corporate clients through the complexities of employing non-EEA staff in accordance with UK immigration laws and sponsor compliance. Our clients range from large FTSE organisations through small and medium-sized businesses to brand new start-ups. Many UK businesses need to attract talent from outside of the EEA and it is our job to ensure that the entire process is as smooth and stress free as possible. Our experts can help your business obtain a sponsor licence and look after prospective employees who require appropriate visas and work authorisation. It is vital that the correct documentation is in place, otherwise compliance issues for the company may arise. Therefore, it really is essential that you appoint a specialist such as UK Visas to help you with this process. The restrictions on who can now work in the UK are more complex than ever which is why so many businesses choose UK Visas to assist their applications. The UK’s immigration system is restrictive and complex, you will need a UK working visa or work permit to work in the UK if your country of origin is outside of the EEA. 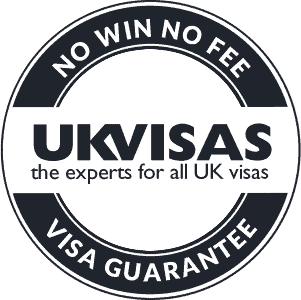 To qualify for a Tier 4 (student) UK visa, you must have received an offer (CAS) from a UKVI recognised UK educational establishment. If you are not a British citizen you may be eligible to apply for British citizenship through the process of naturalisation. We advise on all aspects of these applications. The UKVI now provide a limited number of 10 day premium postal service slots for Tier 2 visa applications submitted here in the UK. BREXIT has raised concerns amongst EEA Nationals and their families regarding their rights to live, work and eventually settle in the UK. After a period of five years' continuous residency in the UK, you can apply for this permanent residence card, providing you meet the set criteria. Many people applying to come to the UK, whether to work or study, wish to bring their loved ones with them as dependants. We can advise on all aspects of these applications. Commonwealth citizens who have a UK born grandparent and wish to come to the UK to work may be able to apply for an Ancestry visa. UK Visas have specialist consultants authorised by the OISC to provide advice on indefinite leave to remain (ILR) and British citizenship. The UK allows many nationals to visit the UK without a visa. Citizens from these countries are classified as “non-visa nationals”.